Last week, I did something which made me question my own self-proclaimed secularism. My three-year-old son is going to a summer camp sort of thing, where he has music and dance classes. At his age, it's less about formally learning anything, and more about just having fun. Every day, he comes home singing snatches of songs that he learnt in class that day. For the past week or so, he has been singing a particular song all the time. Initially, he was singing only the first verse, and he mangled it up so much that I couldn't even understand what he was singing. But then he managed to learn the second line in another couple of days, and I understood what the song was. It's a religious song, and the line he was singing was, "Sing hosanna sing hosanna to the king of kings." I was fine with it in the beginning. He was singing this song and a couple of other non-religious songs as well, and it was okay. But after a couple of days, he stopped singing the other songs and started singing just this song. And that's when it started getting on my nerves. I told him several times to stop, but I would catch him singing it again later. I tried to analyze my own reaction. Why on earth did I have a problem with this? After all, I've often found myself absent-mindedly humming an earworm. I couldn't blame a three-year-old for doing the same thing! But was my problem just that he was singing it all the time? Or was it that since I wasn't religious myself, I didn't want him to sing religious songs? Or was it more problematic still - that I didn't want him to sing a CHRISTIAN religious song? Well, so much for my own self-professed secularism. I might say that I hated the BJP and all it stood for, I might claim that I didn't care about religion, I might proclaim my love for beef everywhere. But at the end of the day, all of those beliefs seemed to be shallow. If somebody tried to "evangelize" my son (because clearly that's what I saw the teaching of this song as), my inner repressed Hindu would come out, sword flashing. Now the question remained - did I want to do something about this, or let it be? After all, the summer camp would be over in another couple of weeks, and I would be rid of the music teacher (he had been hired specifically for the camp). I decided not to do anything. I confess - more than anything, it was the thought of having to actually say something to the school, and reveal what a bigot I really am, that horrified me. But then the weekend came. And I had to listen to the song for two continuous days. On Monday, I went and spoke to the school authorities. Of course, I had to retain some cover of secularism for myself. I was careful to phrase it right. I said, "Please don't teach my son religious music. I'm not religious, and I don't particularly want my son to be religious either." But of course, the lady who is in charge of the place is sharp, and she got it immediately. 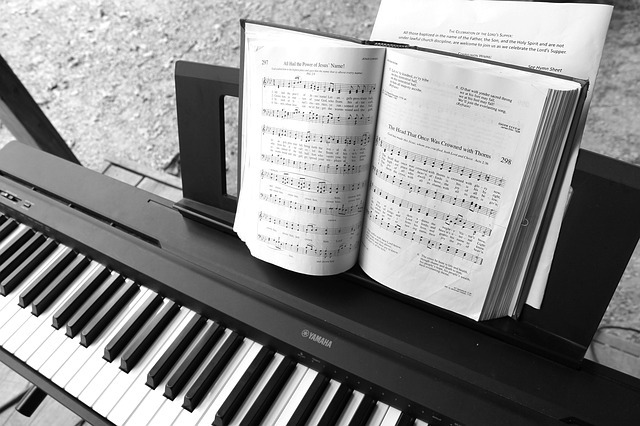 "The new teacher is teaching Christian religious music, right? I don't like it either, ma'am. I'll tell him today itself." And so that was that. My fake secular fig leaf thrown back in my face. I'm still struggling to come to terms with my reaction, and I'm not proud of it at all. But then, I do know that if I'd had to listen to that song for two more weeks, I would have gone mad. Seriously -- he was singing it ALL. THE. FREAKIN'. TIME. I couldn't figure out why, because it doesn't even have a particularly catchy tune. And of course, that made me even more suspicious. Anyway, I'm happy to announce that my speaking to the school has partly had the desired effect. His frequency of singing it has come down and I hope to soon be hosanna-free. Now if only I could go back to being able to believe in my own secularism. Were you able to find out what repertoire the music teacher was teaching? I'd be curious to see if he was actually doing a range of songs, and this was just one that happened to stick with your son. would it have bothered you if it was a non-christian but annoying song he was singing constantly?